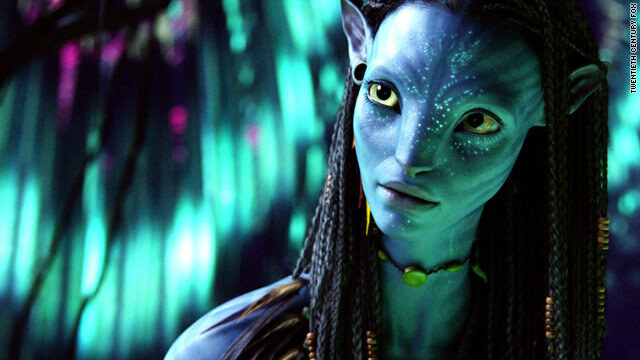 Several fan forum sites are devoted to James Cameron's science-fiction film "Avatar." London, England (CNN) -- Obsessive, overenthusiastic, fanatical -- call them what you will. They used to be the exception rather than the norm. But these days, devoted fan followings are cropping up with increasing frequency. The latest embodiment of the die-hard fans that have emerged: "Avatards," the loyal followers of James Cameron's wildly popular 3D science fiction film "Avatar." Since the blockbuster epic hit the cinema screen across the globe last month, countless forums, Web sites and wikis devoted to all things "Avatar" have popped up. Enthusiastic fans can go to "Learn Na'vi" to study the language spoken on the mythical world of Pandora. On fan sites like "Naviblue," fans discuss everything from their bordering-on-obsessive relationship with the film to feelings of despondence caused by the fact that Pandora is not real. "Start living like Neytiri: in touch with nature, the environment, and not being greedy and wasteful," she wrote. While another forum member Orcakat started a thread entitled, "You know you're an 'Avatar' fan if..." Among the hundreds of replies were, "...when you wish that upon death, heaven will be Pandora" and "...when you have attended 'Avatar Day,' the world premiere, and seen it at the BFI IMAX." Perhaps, most telling is forum member ElBartoME's response, "...when you're not at home but you use your mobile phone to keep in touch with this amazing forum." It is the Internet, blogs, smartphones and the social media revolution that has fueled fandoms like these, allowing them to spring up more rapidly and effortlessly than ever before. "It was a lot harder in the pre-Internet days to meet like-minded fans," says Joel Meadows, editor-in-chief of Tripwire, a magazine of comics, film and TV. "The thing that has changed is the access. It's become easier to get access to the material, the people who create it, and the people who like the same stuff," he said. The fan following for "Avatar," which so far has raked in $1.6 billion at the box office globally according to boxofficemojo.com, emerged simultaneously in every part of the world, Jenkins pointed out. "It didn't happen just in a single country. It's a product of the global connection that fans have created," he said. The outpouring of support for Avatar comes on the heels of the fan hysteria surrounding "New Moon," the second installment of "Twilight," another global success. "Twi-hards," also known as "Twilighters," have earned a reputation for their earnest devotion to the vampire romance series. Around the world, fans used Facebook and Twitter to connect with each other in anticipation of "New Moon," which has earned $686 million in box office receipts globally since it was released in November, according to boxofficemojo.com. They've also been inspired to produce an abundant amount of fan fiction. There are more than 128,000 stories listed under "Twilight" on the fan fiction archive site FanFiction.net. Fans being utterly devoted to a film or series is by no means a new phenomenon, says Jenkins, who has studied fandom for 25 years. Science fiction and fantasy, with their richly detailed worlds and oftentimes utopian visions of society, are the kinds of movies that tend to attract loyal followings. But, whereas fan groups used to be on the fringe, these days they are much more public -- and they're also more diverse. As fandom has become more open, more different fan communities have emerged around more different franchises, Jenkins said. "Anyone who wants to can find their way into a fan community today," he said. Participation at Comic-Con, the mecca that used to draw primarily a science-fiction and fantasy crowd, has swelled in recent years. Genre films and TV have become such a major part of the pop culture mainstream, they're attracting people in droves, Meadows explained. But are fans today becoming too fixated? Is learning Na'vi, for instance, taking obsession to a new level? Like "Trekkies," the ardent "Star Trek" fans that emerged in the 1960s, who set out to learn Klingon, they're merely looking for a way to deepen their engagement with the world that has become such a part of their lives, he said. "It's heartening to know people connect so strongly with the material that they want to take this extra step."